Featuring a gorgeous sway design with the peacock feathers, you could just look at this forever, its design it's impeccable. Complimented with a light brown base, which also features decorative details. 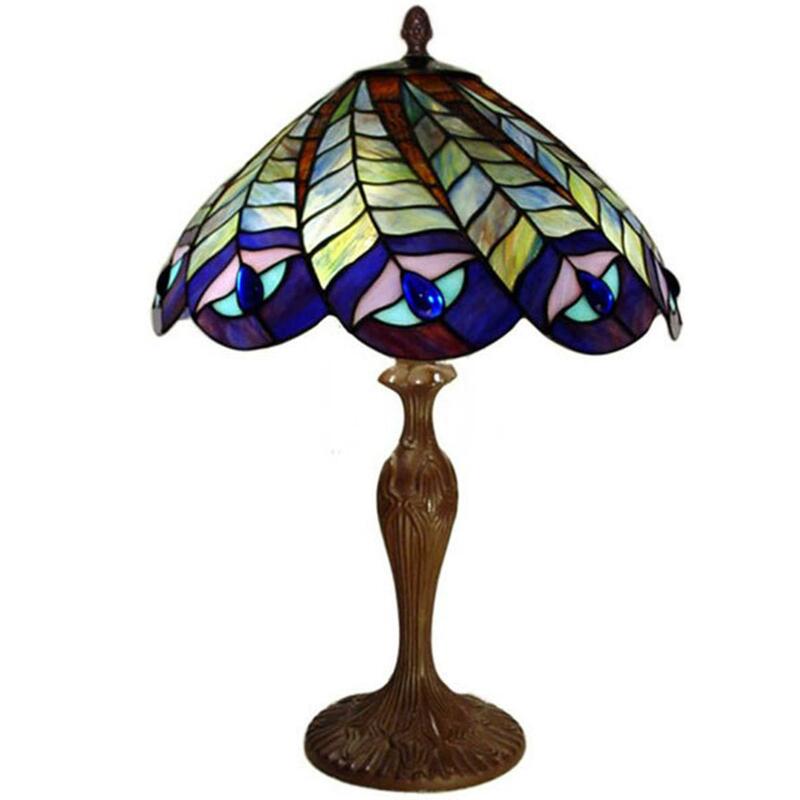 The umbrella tiffany table lamp is a must-have for your home as the light and the style which it produces and offers is essential for any household.